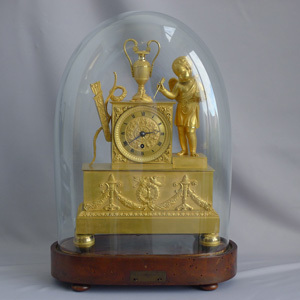 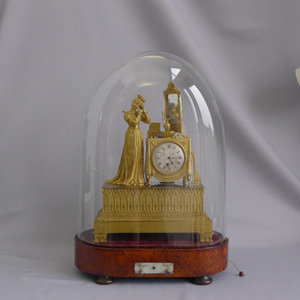 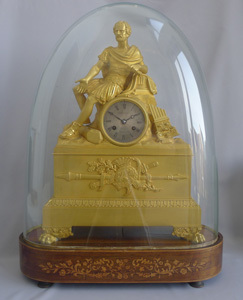 Antique French Baccarat crystal vase clock with ormolu mounts. 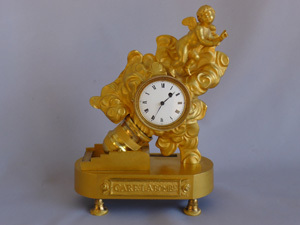 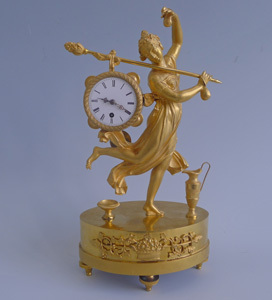 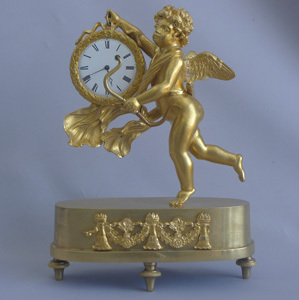 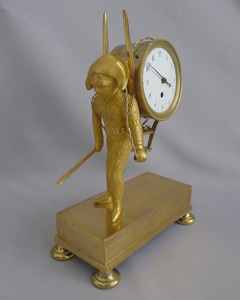 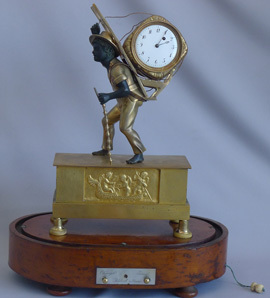 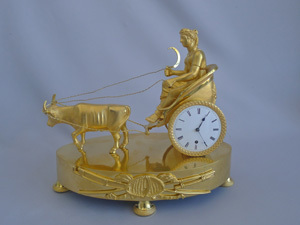 Antique French Empire ormolu miniature clock of Cupid being fired from a motar. 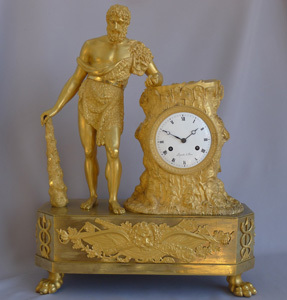 Antique George III patinated bronze and ormolu figural mantel clock signed W. Glover. 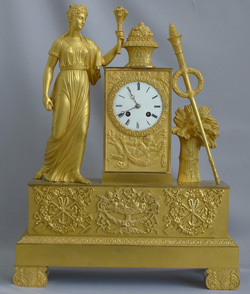 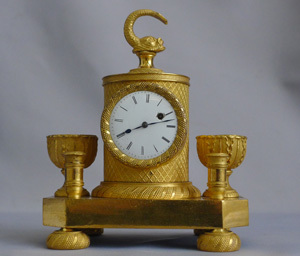 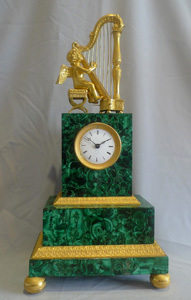 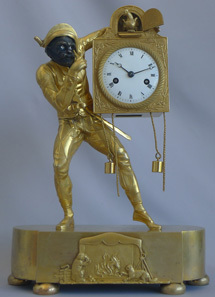 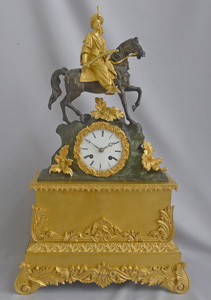 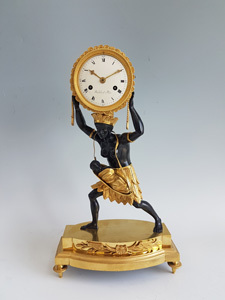 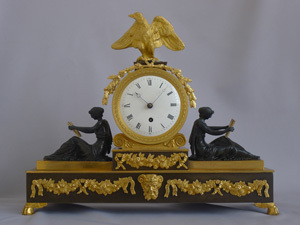 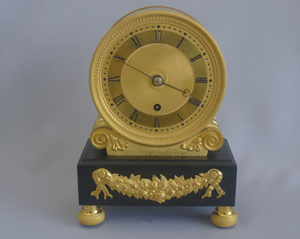 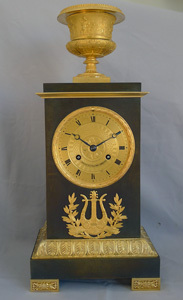 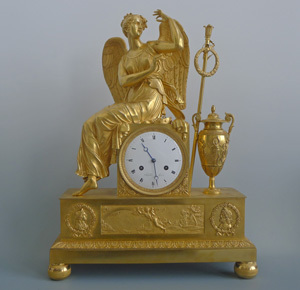 Antique French Empire clock called 'Evening prayer' designed by Jean-Andre Reiche. 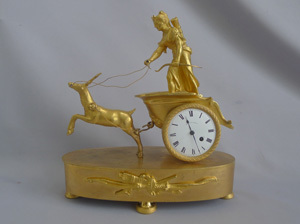 Antique French Empire ormolu chariot clock signed Ravrio. 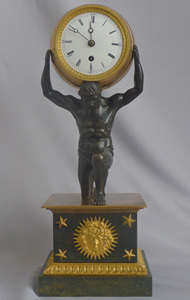 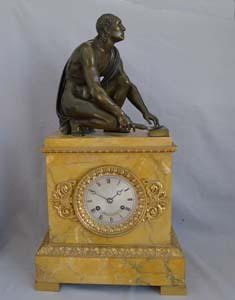 Antique French Sienna marble clock with patinated bronze Grand Tour sculpture of The Arrotino. 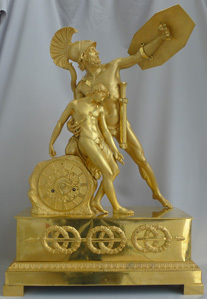 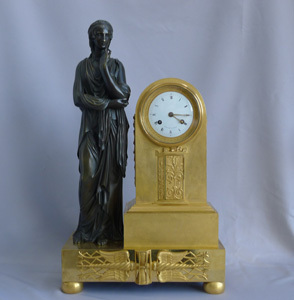 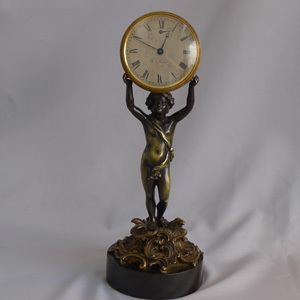 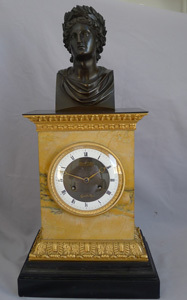 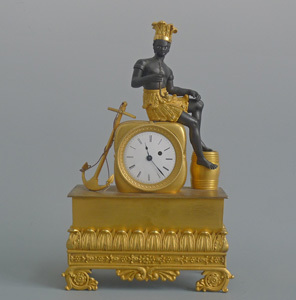 Antique French Charles X patinated bronze,ormolu and black marble clock with bust of Apollo. 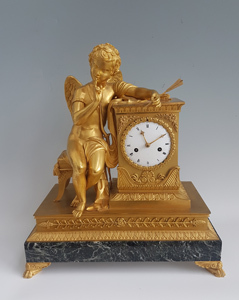 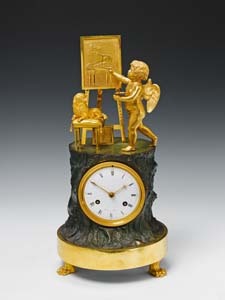 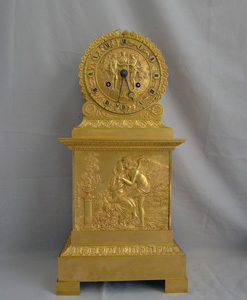 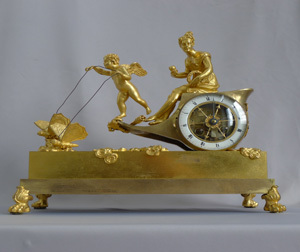 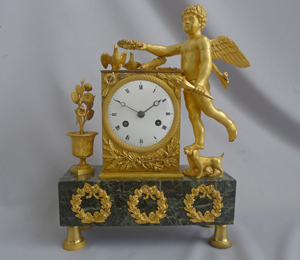 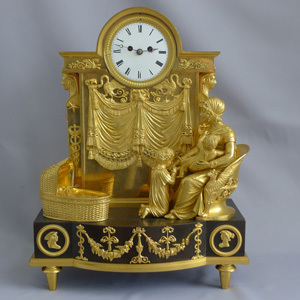 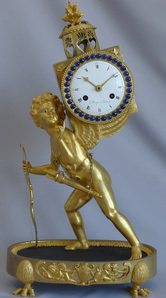 Fine French Empire Genre clock of Cupid as Artist by Maniere.